Fuller Seminary Office for Urban Initiatives (OUI) engages students to develop and/or participate in strategies that end social injustices in the tradition of past and contemporary Christian reformers. These reformers have been used by God to administer justice and bring healing as taught in the Christian scriptures. Students learn how to identify, engage, and solve critical issues that have left neighborhoods, cities, counties, states or even entire nations pained and conflicted. The Office for Urban Initiatives Lab, under the direction of Sofia Herrera, PhD, and Joe Colletti, PhD, seeks to find solutions to help end homelessness in communities in Southern California and to communicate findings and results to communities throughout the United States and other countries in order to contribute to other local efforts to help end homelessness. Identifying and implementing best practices to end homelessness among aging women in Glendale, California. Working with faith community committees and coalitions to analyze local data concerning homelessness and poverty in order to help jurisdictions achieve annual “reduction” benchmarks for homeless subpopulations. The lab includes selected students from all three schools within Fuller Seminary—School of Intercultural Studies, School of Psychology, and School of Theology—to participate in ongoing research projects including program evaluations. Projects and evaluations will be conducted in partnership with representatives of public and private organizations that include academic institutions, business and neighborhood associations, civic groups, faith-based organizations, local city and county government, non-profit agencies, and philanthropy. Research projects will also inform public policy proposals. The lab also provides opportunities for selected alumni from all three schools to participate in ongoing projects. The Office for Urban Initiatives participates as a member of the Pasadena Partnership to End Homelessness. The Partnership is dedicated to implementing evidence-based and best practices in order to prevent and end homelessness. OUI is a member of two subcommittees of the Partnership: (1) the Homeless Management Information System (HMIS) and Homeless Research Committee; and (2) the Faith-Based Committee. To learn more about evidence-based and best practices to end homelessness, visit the Partnership's website. 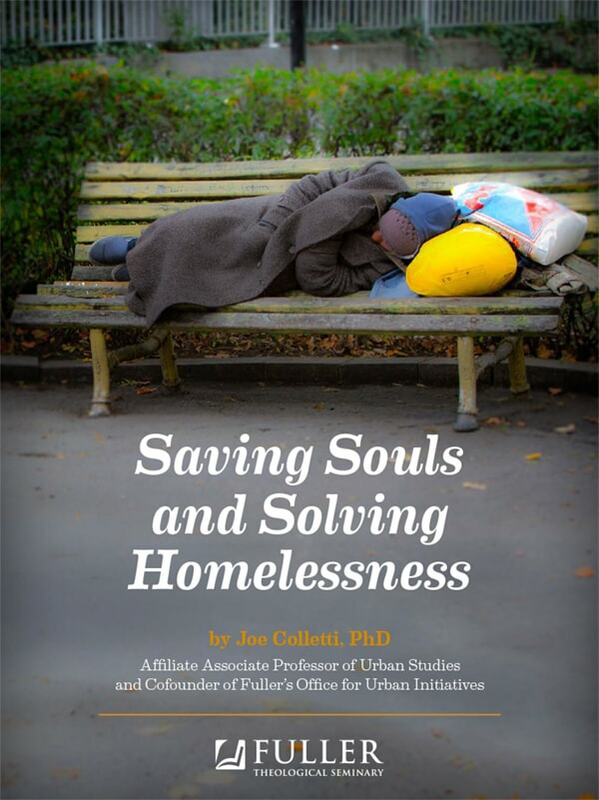 The Office for Urban Initiatives helped to coordinate almost 70 volunteers from Fuller Seminary, Pasadena churches and the community to participate in the annual Homeless Count and Sub-population Survey on January 22, 2014. The point-in-time count is mandated by the United States Department of Housing and Urban Development Department (HUD) for all jurisdictions that receive federal funding. The count and survey are also integral to provide information on the homeless population for Pasadena's service providers to better direct and make decisions regarding resource allocation. The 2014 final report can be found here. If you are interested in volunteering to help count in your community, click here. 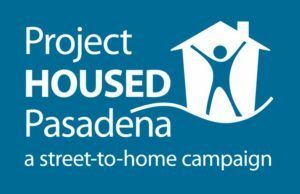 Project HOUSED Pasadena is a street-to-home initiative spearheaded by the Pasadena business and faith communities, local government, and social service providers that aims to identify and permanently house the city's most vulnerable homeless persons, including those most likely to die on the streets. Dr. Sofia Herrera, Associate Director of the Office for Urban Initiatives, coordinated volunteers during the week of August 7-12th, 2011, from Fuller Seminary, congregations, faith-based organizations and the Pasadena community to administer a vulnerability index questionnaire to homeless persons living on the streets. Housing Works, a non-profit agency that serves homeless persons, worked to house the identified homeless persons. Those newly housed received supportive services in order for them to remain housed and integrate into the community. This project has been on-going and 55 persons experiencing homelessness have been housed as of April 2014, with a retention rate of approximately 93%. Housing vulnerable homeless persons who are already in our community, people living on the streets and in need of housing and medical treatment, is much more cost-effective than allowing them to remain homeless. Persons living on the street access our community's emergency services at a disproportionate rate, using the emergency rooms, ambulances, and generating emergency responder calls. Housing them is a permanent solution, allows them to receive treatment for physical and mental illnesses, and results in better outcomes for the person, reduced costs for the emergency response system, and safer, more inviting neighborhoods for residents, businesses, and visitors. This approach to ending homelessness is called Housing First and is being implemented across the nation as a strategy to end homelessness. The Hub for Christian Social Reformers serves as a network that links the accomplishments of past reformers with the accomplishments and efforts of present-day reformers to solve social struggles and the efforts of future reformers who seek to do the same. Thus, the Hub is dedicated to preserving and promoting solutions to social ills by past social reformers. Many reformers remain unknown to, or are forgotten by, those who seek to advance social justice today. Consequently, the teachings, writings, and speeches of these reformers are repeatedly neglected and often do not inform the resolutions that present-day justice seekers seek to encourage. The Hub is similarly dedicated to promoting organizations that disseminate the knowledge of past and contemporary social reformers. Such organizations have not only preserved some of the teachings, writings, and speeches of these reformers but elucidate them as well. Therefore, the missions, books, conferences, classes, and workshops created by these groups are publicized by the Center. The Hub is also dedicated to fostering future reformers by connecting them to the experiences of past and present reformers and to organizations that seek to support their potential. Connecting them is accomplished by promoting books and other writings, conferences, classes, trainings, and seminars that expound upon the ideas, beliefs, and principles of past and present reformers in order to apply their strategies and campaigns. OUI conducts Round Table Discussions that identify social injustices in various communities. Students are invited to learn how to end social injustices by participating in these discussions along with Urban Initiatives’ seasoned practitioners and invited community leaders. Discussions will focus on, but are not limited to, ending and preventing homelessness, human trafficking, neighborhood revitalization, economic development, and urban planning. OUI provides an opportunity for networking during which students and others, who work in the nonprofit world, the church or in the community addressing social injustices, can come together to share their work, cultivate relationships, seek support, exchange ideas, reflect with others, and share resources. We believe that when people join with others and create momentum toward change, they become transformational. The meetings provide an environment where people can continue to grow while developing peer mentoring and professional relationships in order to effect change and enhance their current work. OUI and the Office of Alumni and Church Relations (ACR), in partnership with the Los Angeles Superior Court convened the Court Clergy Conference at Fuller Theological Seminary in Pasadena in 2010 and 2014. The theme for the 2014 conference was Building Community with Justice. Approximately 200 faith leaders from different backgrounds, as well as faculty and students at the seminary attended the all-day conference, learning how to navigate the justice system for the populations they serve. The conference included welcoming remarks from Fuller’s President Mark Labberton and City of Pasadena’s Mayor Bill Bogaard. Congresswoman Judy Chu presented certificates of congressional recognition to OUI, ACR and the LA Superior Court, acknowledging the partnership and efforts to bring the court system and clergy together. The conference also included an overview of the LA County Superior Court system; panel presentations by judges on different courts and procedures such as veterans, juvenile, mental health and family law courts; information on child abuse and mandatory reporting; as well as keynote addresses from Archbishop Jose Gomez and Father Greg Boyle of Homeboy Industries. Archbishop Gomez opened the conference speaking of Pope Francis’ acts of kindness and the power of mercy through such acts, encouraging attendees to do likewise. Amongst one of the presentations was Judge Nash’s recounting of the painful realities of children forced to navigate the justice system. Regarding the attitude of judges in the Juvenile Court working to help youth, Judge Nash quoted Martin Luther King Jr.: “I can never be what I ought to be until you are what you ought to be.” He spoke of the failure of the system when a youth ages out of the foster care system and the responsibility to provide a permanent home situation for them. Father Boyle closed the conference with a reminder that there could be no justice or peace without kinship, and that the path to building a community with justice is by way of “the spirit and courage of tenderness.” It was fitting that the conference opened and closed with a call to remember kindness and compassion as a road map to kinship, community, and ultimately, justice. A Rule of Life has helped ordinary people live extraordinary lives. The workshop helps participants create a Rule of Life by providing an opportunity to integrate your existing spiritual practices and activities with “time-tested” practices that have formed ancient and contemporary Rules of Life. In addition, participants will learn to live out your Rule of Life within the very spaces and with the very people that make up their urban world which will immeasurably deepen their relationship with God. The workshop helps individuals integrate their daily experiences of urban life into their spiritual lives and vice versa through ancient and contemporary Christian spiritual practices. Integration requires that our spiritual practices be lived out in the very spaces and with the very people that make up our urban world. Ancient and contemporary Christian spiritual practices provide the means and measures to integrate our daily urban experiences into our spiritual lives. This workshop helps participants explore various types of careers that focus on serving local communities in ways that provide opportunities to be a catalyst for positive change. Such careers involve working for educational institutions, faith-based organizations, for profit corporations, local government, and non-profit agencies. Related opportunities include administration, case management, community organizing, evaluations, executive management, fund development, and research. There are three half-day retreats and participants are encouraged to attend all three—the first one right before Lent begins, the second one during the middle of Lent, and the third one right before Holy Week begins. The Society of Urban Monks (Urban Monks) is the spiritual arm of Fuller Seminary Office for Urban Initiatives. Urban Monks consists of an ecumenical and multi-denominational community of men and women who are committed to a living covenant with God that is rooted in the passion of Jesus Christ. WHAT IS AN URBAN MONK? An Urban Monk seeks to solve and end social injustices in the tradition of past and contemporary Christian reformers. Such injustices have left neighborhoods, cities, counties, states or even entire nations pained and conflicted. Urban Monks believe that God desires to use them to administer justice and bring healing as taught in the Christian scriptures.